Recently my dear friend Megan (who is pregnant with #2), decided to consign for the upcoming WeeTRADE sale and had no idea where to begin. I invited her and her 3 year old daughter (….and all of her adorable baby girl clothes) over for an afternoon playdate so we could sort and hang for the San Marco sale. What a great time we (and our 3 kids) had together! We were able to go through her outfits and hang almost all her items,- and the afternoon just flew by. 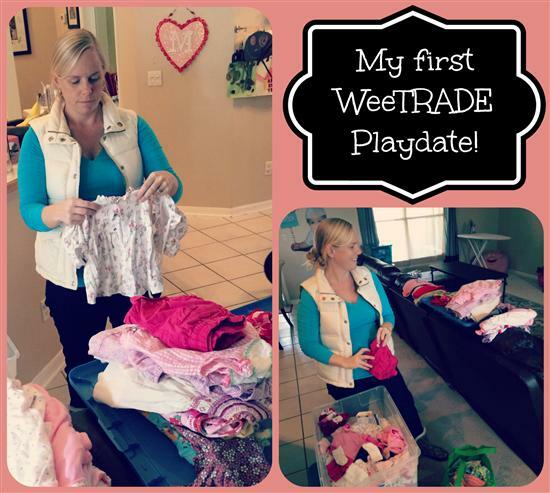 I highly recommend a sorting play date with a past consignor friend if you are unsure what (or how) to get started at WeeTRADE!